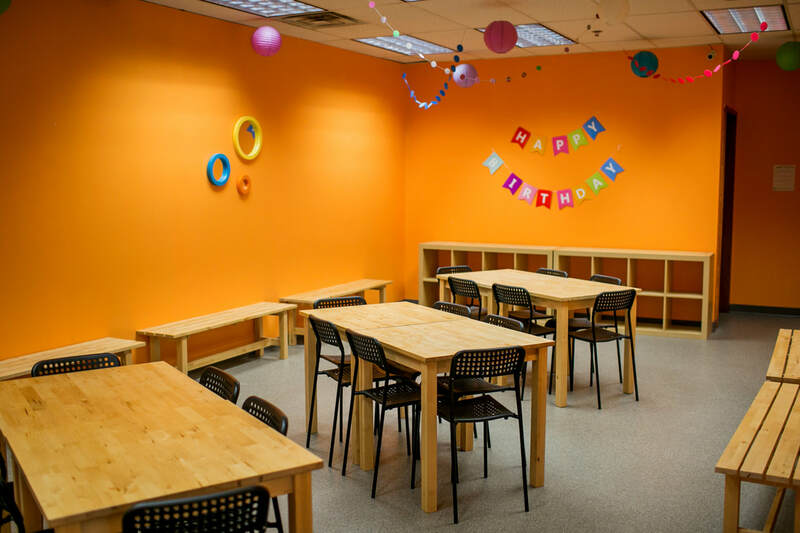 ​InnerActive in Minnetonka is the perfect place for your next DIY birthday party! We offer a private party room for birthdays and special occasions. A room reservation is required to have a party at InnerActive. - Unlimited play for the day of your event. Our room seats 24 people and can accommodate up to 30 people, 10 passes are included in your reseravation. each additional child (ages 1-17) is just $9! Our private party room is set up in a DIY manner. Feel free to bring in items you would like for your event and use this room in a self-serve manner. Cleaning supplies are provided to sweep the floor and wipe the tables at the end of your event. - The party room rental is only for the party space, not an exclusive party for the entire park. There is plenty of space for all! ​-If multiple time slots are booked, only 10 passes will be included with the total purchase. Please view the calendar below. All available dates and times are shown LIVE. Select the time you would like, and you will be brought through the process to pay for your reservation. *If our calendar in Minnetonka is booked for the date/time you would prefer- please take a look at our Mounds View location. 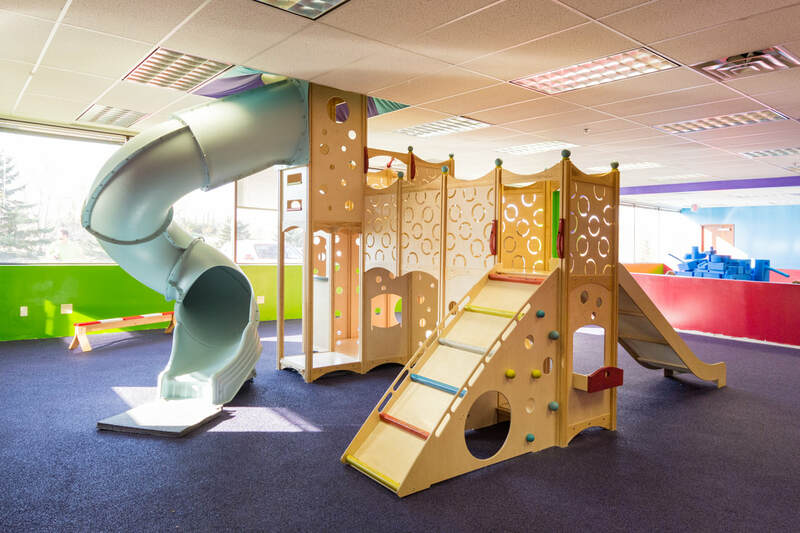 We have 2 party rooms on site in Mounds View, so there is more flexibility on desired dates/times! Everything seen in these photos is included with the Party Room at all times! You are welcome to bring tables covers and table top decorations. Balloons are not permitted at InnerActive, and we ask for no decorations on the walls, or hanging from the ceiling- including pinatas! 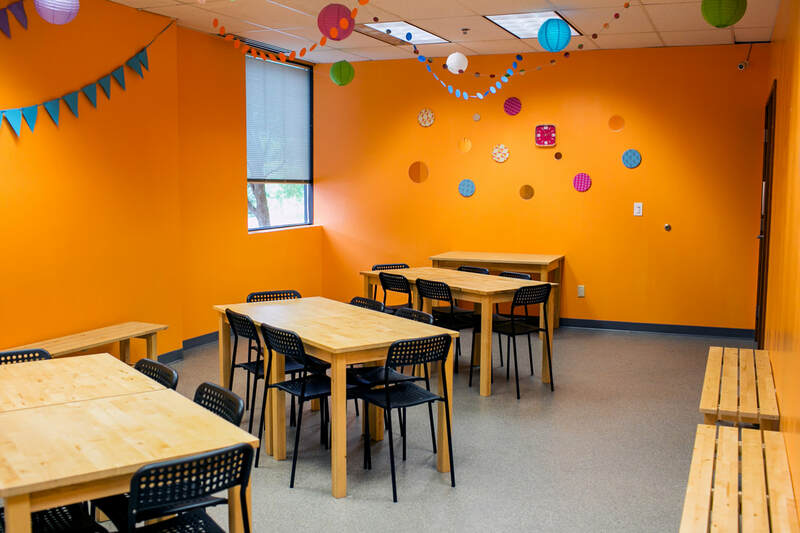 The Party Room has 6 tables that are 4'x4', one serving table that is 4'x6', 18 chairs and 5 benches. 30 people can fit comfortably in the room. Any event cancelled with less than 14 days will forfeit their full purchase.​ We have limited party time slots, and last minute parties are very difficult to fill. Please do not lock in your date until you are sure it's a good fit!